"Fashion or Fashion Victim" From this connotation which of this two are you really in? I was scanning over a newspaper when I get a glimpse over an article entitled “In Fashion I’ve learned that…” written by Cybil Gayatin. For almost a year when I started patronizing the different old and new trend of fashion, I was so much enticed by those fancy dress and accessories that unconsciously I befall on the wrong lane. Half way of it I maybe “IN” the trend but the other part I was just a trying hard copy cat addicted to fashion. Apparently this article opens me to the realm image of fashion. How does it evolve? As well the necessary points to consider so everyone will tightly hold on such drastic changes but at the end not loosing the mean of fashion. Ø Before you step out from your houses and proceed to your respective agenda, spot yourself first in a full length mirror and listen to what it says. Ø Try to edit yourself primarily focusing on your accessories. What you choose to leave out is just as important as what you choose to put on. An extremely no-no to get carried away with all those bangles in your ear, neck and wrist spontaneously. Surely you’ll be noticed as not being admired but a shameful fashionista. Choose accessories that would complement your attire and not overpowered your personality. Ø Balance your attire by knowing when and where to wear it. Always tap this question “Is my dress appropriate for the occasion I’m attending to? Don’t be silly! If you’re attending a Hawaiian theme party, what an out of this world idea if you’re wearing a long gown dress. What a BOOBOO!! I know I’m just exaggerating but reality check; we oftentimes face this nerving dilemma. And instantly we get numb not to notice our fiasco. Ø I find this tip so striking to everyone especially on hunger for center stage attention and also bit similar to the recent one: At a party, being underdressed is a gate crushing, while being overdressed makes them think you tried a little too hard. Strike the bull’s eye. Just be on the middle. Ø When people tell you, you will look good on anything as long as you carry it with confidence, they are lying. If you’re 200 (whether by age or pounds) no amount of confidence will make you look good in hot pants. Fortunate for me since I have a slim and tall physique plus I am still 20 by age. I can manage to wear anything I want without so many worries to mind. But danger zone…. Not totally since what looks good on Toni Gonzaga may not always look good on me. So go back to the first tip. Spot yourself in a mirror before dashing to your business….and edit..
Ø Ironic it may sound, vintage will never get old. When Vogue says that fashion is returning to the 80’s, it really just means fashion is hinting at the 80’s. 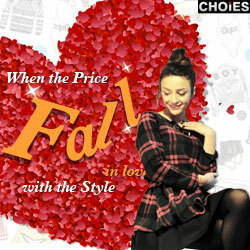 Instead rushing to nearest department store and buy those latest trend why not shop in your own closet. Fashion is redundant and likes to repeat itself. Recycle!!! Wearing head to toe designer items is not stylish. Its two things: expensive and tacky. Ø Above all this tip is really a surefire to remember. Getting noticed is not always as the same as being admired. Eyes may be staring and heads maybe turning but they could be doing so for all the wrong reasons. Fashion doesn’t always have to be shocking. Earn a good attention and not just any kind of attention. Thus being fashionable doest end on those fancy and flamboyant clothing and accessories in a short span of time but rather it totally ends on how you carry well and knowing the limitations of wearing it. Fashion is not solely a utility; it is an iconography that expresses oneself. Someone who blindly follows trends is not fashionable but a fashion victim. Moreover dressing properly and exuberantly is well and a key to lasting impression. There’s nothing wrong on updating ourselves to the new paradigm of fashion but what matters most is to also update our spiritual needs. I guess one must focus on this first before anything else.